This work space offers a range of sized offices to suit your needs. There are vibrant communal areas and a break out area with a fully functioning kitchen. The work space offers private meeting rooms with conferencing facilities. Located in a well established commercial area there are lots of good local shops and facilities. Situated with easy access to the M62 and the M56 motorways, this work space is easy to reach. 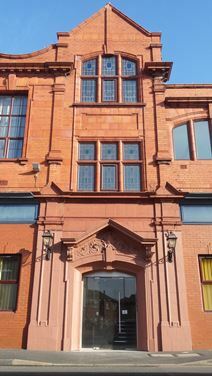 Located in central Widnes, close to the main shopping district and overlooking the recently refurbished Victoria Square, this centre provides two floors of office space on traditional lease terms. Widnes railway station provides good transport links and the town also has a choice of cafes, bars and restaurants as well as shopping options. On-site, there are great amenities including kitchen facilities. This great listing offers high quality office suites in a town centre location. There are four excellent office suites available, ranging in size from 471 Sq Ft to 1,798 Sq Ft. The tenants can benefit from a wide range of facilities, such a communal kitchen area, on-site car parking, 24 hour access and break-out areas. This office space is located in close proximity to great rail and motorway networks.